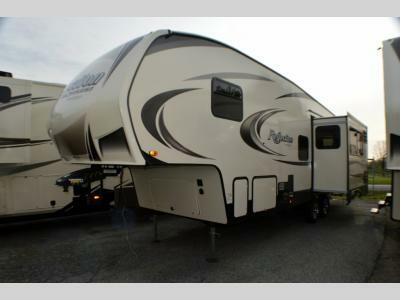 This Reflection 150 Series fifth wheel is the answer to your family's camping needs. 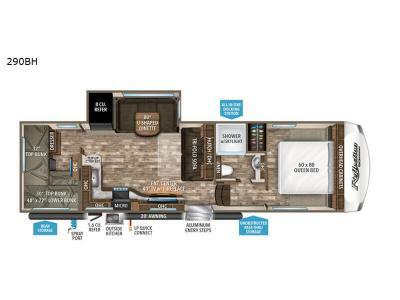 Imagine sleeping in a queen bed while the kids have their own private bunkhouse on the opposite side. You have the choice of cooking inside with all the kitchen amenities or outside on the exterior kitchen. You all can meet in the middle to plan for the outdoor fun while eating at the 80" U-shaped dinette or tri-fold sofa which also provides extra sleeping space as well. Come see what else you will love!